When should a child with a fever see a doctor? How do I treat a fever at home? 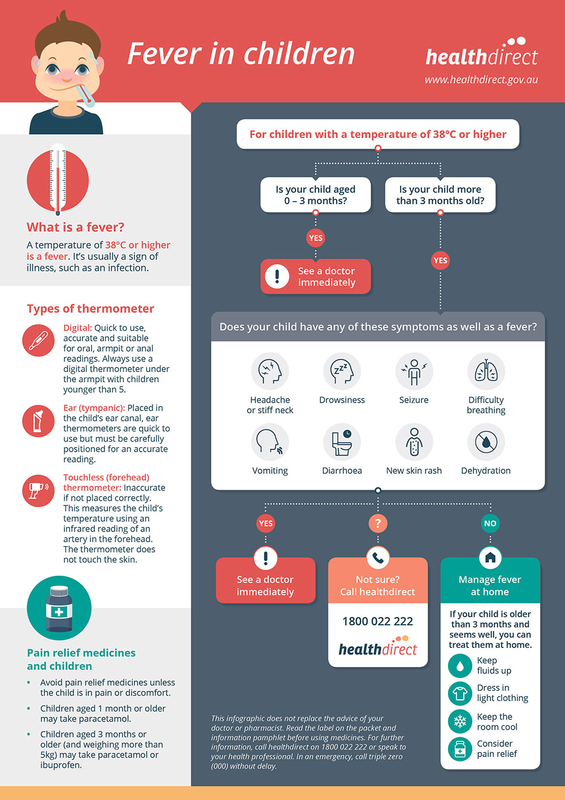 Answer these questions and more using this infographic about fever in children. Learn more about fever in children and the medicines, such as paracetamol and ibuprofen, that might help lower a high temperature. If you are still concerned about your child's fever, why not use healthdirect's online Symptom Checker to get advice on when to seek medical attention.